Conversion from one transmission media to another, for example from copper to fibre. Demarcation point where responsibly changes for different parts of a single network, for example from service provider to customer. The need for Ethernet Connectivity on an end user device does not always coincide with the ability of your network / carrier network to supply it hence the need for Ethernet "over" solutions. A comprehensive set of tools for Network Performance Assurance, performing both 'out-of-service' testing and 'in-service' background monitoring of your LAN and WAN connections up to 10Gbps. By deploying Metrodata's embedded, always-on Test and Monitoring devices, standard test profiles including RFC2544 and/or Y.1564 can be instigated 'on-demand' at any time between any points in the network, with results monitored remotely, in real-time, directly from the Network Operations Centre (NOC). 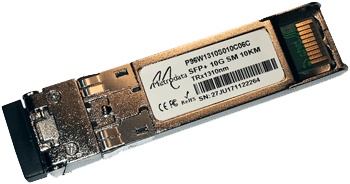 Metrodata offers interchangeable 'plug-in' Fibre Transceivers for Data Communications platforms including Switches, Routers, Workstations and Servers from all major manufacturers. Metrodata's passive CWDM and DWDM Multiplexer family, MetroWAVE, offers a highly effective and cost effective solution to enable Service Providers to maximise the bandwidth of dark-fibre links. The need to get value for money from existing assets drives the need for converting from one media to another and creates many possibilities. By downloading items from our website, you agree to receive the occassional actionable marketing content from Metrodata. You can unsubscribe at anytime.